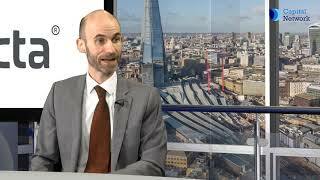 Avacta reported an adjusted net loss of £5.0m with period-end cash of £11.8m. This included a $2.5m milestone from LG Chem, which marked the company’s first significant therapeutics licensing deal that is worth up to $300m. Moreover, the collaboration with Tufts University provides a technology platform that is sufficiently differentiated to drive potentially high-value pre-clinical licensing deals. 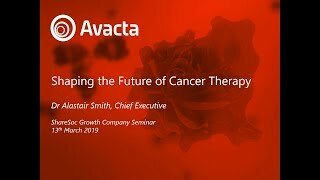 Avacta remains on track to take its first Affimer into Phase I trials in late 2020. Significant progress continues to be made in non-therapeutic applications that include at least two in-house diagnostic assay development programmes with further licences expected in 2019. The share price performance belies the scientific progress made during the period. Our 125p price target is unchanged. In the investment world, before MiFID II, essentially every institution talked to every broker, and the whole, professional market could see every research note and the forecasts in detail. This was the ‘Age of Consensus’. Everyone had the same information (well, everyone except retail investors), and this transparency helped share price formation and liquidity. Avacta (AVCT) is a pre-clinical stage biotechnology company and the proprietary owner of Affimer technology. Affimers represent a radical alternative to the established antibody technology. The significant technical and commercial benefits of Affimers are being increasingly recognised, evidenced by corporate and academic interests, ongoing evaluations and deal flow. AVCT has just announced that, following a review period, Moderna has exercised its option to enter into an exclusive licensing agreement to further develop certain Affimer therapeutics for undisclosed targets. This is the second licensing deal with a major pharma player in the past few months. PetroTal Corp is an oil and gas company whose shares are currently admitted to trading on the TSXV. The Company is focused on development of oil and gas assets in Peru and it currently has controlling interests in three onshore Peru license blocks. No new funds being raised. Due 21 Dec. Mkt cap c.£80m Litigation Capital Management—provider of litigation financing and ancillary services, moving from ASX (ASX:LCA) to AIM. Offer TBC. Due 18 Dec. Mkt Cap A$64m. Crossword Cybersecurity PLC* (NEX:CCS)—the technology commercialisation company focusing exclusively on the cyber security sector is due to start trading on AIM 14 December. Raising £2m at 290p. Mkt cap at issue price £13.6m. Manolete Partners—leading UK insolvency litigation financing business looking to join AIM raising £16.3m as a placing and £13.1 realised by the selling shareholder at 175p. Market cap £76.3m, expected 14 December Greenfields Petroleum (TSX-V:GNF) production focused company with operated assets in Azerbaijan seeking AIM dual listing including $60m private placement. Mkt cap $12.6m CAD. Expected mid December. Research Tree provides access to ongoing research coverage, media content and regulatory news on Avacta Group. We currently have 116 research reports from 5 professional analysts.